Salisbury City Guides is an association of experienced professional tour guides who have detailed knowledge of Salisbury and Wessex. 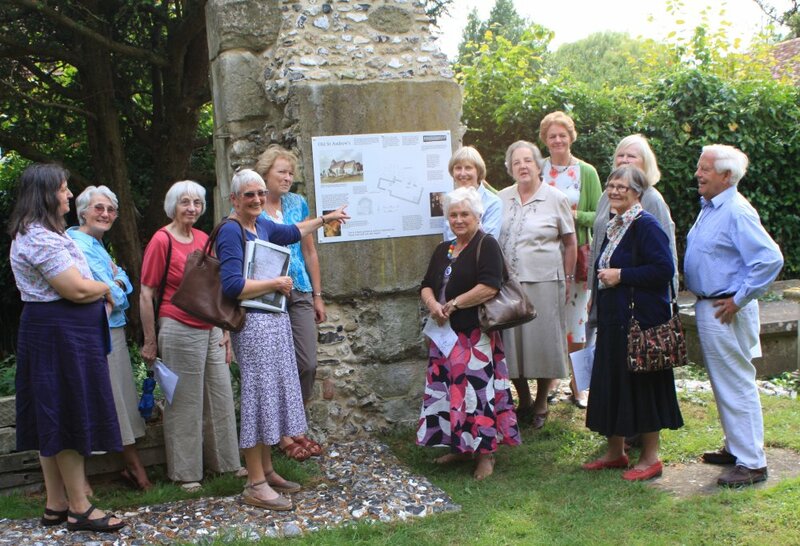 A number of the guides have researched and created guided tours on a variety of topics that include history, architecture, painting, sculpture, literature, Wiltshire folklore and the exploration of the countryside and villages around Salisbury. There are also guided tours specifically designed for students, children and families. Take a little time to browse through the list of guided tours and almost certainly you will find a tour that will appeal to you, your family or your group. Salisbury people are justifiably proud of the presence of Magna Carta in their Cathedral. Especially as it is acknowledged to be the best of the four surviving King John versions. 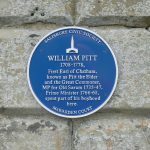 The Charter is written in medieval Latin spread over 63 clauses so the walk does not attempt a detailed analysis of it all but rather looks at a handful of specific clauses that relate to life in Salisbury . Topics include Freemen & Kings, Merchants & Trade, the Liberty of Cities, the Rights of Women and Democracy, the Freedom of the Church and America & Magna Carta. But arching over all of these are the most important clauses which survive to the present day, numbers 39 and 40 that state that no one, not even the King, is above the law. The walk also looks at the way Magna Carta has influenced the development of our constitution and other documents like The Bill of Rights and The Great Reform Act of 1832 that have connections with Salisbury. The walk represents an inspiring journey through 800 years of conflict and struggle from medieval tyranny to our constitutional monarchy of today. A special walk designed for children exploring aspects of the City’s history including the horrible and smelly bits. Travel back in time to find out about how people lived in the past. Find out what the Tudors and Stuarts did in old Salisbury with blood thirsty tales of crime and punishment. Hear stories of how the ‘Victorians’ changed the City to get rid of the smells and rubbish in the streets. Explore the rich history of Tudor Salisbury with tales of life and events in the city during the reign of Henry VII, Henry VIII, Mary Tudor and Elizabeth I. Hear tales of Royal visits, the building of a new Council House for the Mayor and Corporation and the destruction of magnificent stained glass and shrines in the Cathedral and churches at the Reformation. Find out what happened to the great Doom Painting and hear stories of crimes, executions and public punishment in the city centre. Discover the exciting history of Stuart Salisbury with tales of life and events in the city during the 17c. Hear of Royal visits, poverty, plague, religious disputes, the English Civil War and witchcraft. Find out about the new 1612 Royal Charter, Charles II’s visit during the plague, Sir Christopher Wren and the Cathedral Spire, Shakespeare and Samuel Pepys visiting the George Inn and James II’s Salisbury nosebleed which changed the course of British history. Explore the rich history of Regency Salisbury with tales of life and events in the city in the early 19th century. Hear about music and entertainment, intriguing discoveries and notable people, such as Bishop Fisher’s family who invited John Constable to visit Salisbury seven times from 1811 to 1829. Discover what life was like in Victorian times. Hear about famous people who lived in and visited the city. Admire the fine architecture and compare the modern street scenes with the 19c scenes painted by the artist, Louise Rayner. Interesting tales of people and places in Salisbury’s northern fringes. Hear about the secret Cathedral porch, the riots at the Greencroft, the grand mansion of the Wyndham family, St Edmund’s Church and the Methodist Heritage of John Wesley. Amazing tales of the interesting people and places in Salisbury’s eastern fringes, the home of love, passion and industry in past times. Hear about the medieval brothel owner, Agnes Bottenham and her Trinity Hospital charity , the tragic Victorian murder which shocked Salisbury’s citizens and see Salisbury’s oldest parish church. Explore the timeless landscape and see the famous views sketched and painted around Salisbury by the great English artist, John Constable, between1811–1829 around Salisbury. Hear about his friendship with the Fisher family in the Cathedral Close and how Constable was inspired by Salisbury’s amazing heritage. Discover the beautiful views of Salisbury painted by one of Britain’s greatest 19c artists during his early career and see how the street scenes and buildings remain relatively unchanged through time. 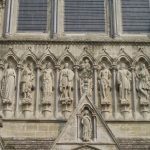 With a professional Blue Badge guide, imagine walking the city’s streets like a pilgrim, stepping into a bygone world of hardship and disease, knowing the fears that prompted pilgrim’s to travel to the shrine of Salisbury’s own miracle working Saint Osmund. Learn about Salisbury’s extraordinary miracles, relics, indulgences and pilgrim badges – find out more here. Discover Salisbury’s literary links with past and present authors and the literature that was inspired by the city. Hear how the great 19c novelist, Thomas Hardy used Salisbury as the inspiration for Melchester in his novels. See the house in the Close which had intimate connections with Henry Fielding author of Tom Jones. Hear reminiscences from students and staff at the school where William Golding taught and of connections with present day writers Leslie Thomas and Ken Follett. 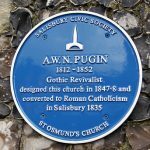 Pugin was one of Britain’s greatest architects who was a driving force in the 19c Gothic Revival and who influenced a whole generation of other architects. For a number of years he lived in Salisbury. Here he obtained his first architectural commission, built his first house, published his seminal work Contrasts, converted to Catholicism and started work on the Houses of Parliament. The walk looks at his early years and examines a number of Salisbury Gothic Revival buildings by other architects. This is the story of a dynamic genius whose meteoric career was tragically cut short, 160 years ago, at the age of 40. A tale of politics and power. Fisherton village is now part of Salisbury but it was here and thriving before the city’s foundation in 1220. It is the story of a simple Saxon settlement that spans the Millennium. Pillaged by a Viking warlord and occupied by the conquering Normans this was and is a private place, unvisited and overlooked. 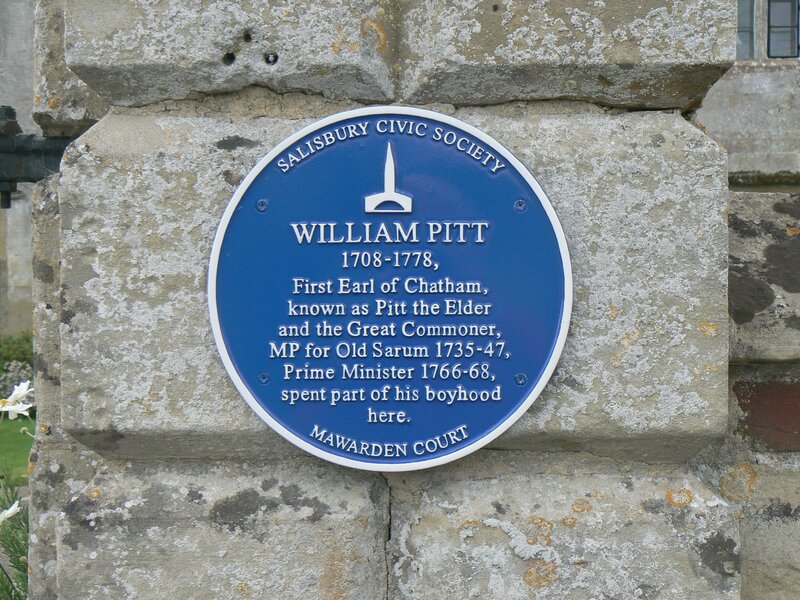 Its ancient church of St Clements has vanished but its hidden churchyard remains as one of Salisbury’s best kept secrets that you will explore on this walk. Nearby, Constable painted one of his ethereal views of Salisbury Cathedral. Throughout Fisherton there are faint echoes from distant centuries : of martyrs being burnt alive, of Round Heads manhandling a Royalist priest, of a bloodthirsty crowd at Salisbury’s last public execution. Fisherton may be forgotten but its voices still span the years and give us a glimpse of our distant past. This walk follows in the footsteps of the Grim Reaper through the swirling chaos of the city’s medieval medical history. Hear of the terrifying arrival of six outbreaks of the plague in the 16c and 17c on the streets of Salisbury. Infections stalked the chequers down the centuries, weakening helpless citizens, who often ended at the door of Salisbury’s dreaded Workhouse or worse still, in the chilling cells of the Tudor county Gaol. All this and tales of the Kings Evil, the eye doctor who treated Pepys, a hypochondriac Bishop and even an incredible story of the first transplant. Learn how the final pestilence of cholera literally transformed the city and about the infamous water channels and how they provided enough treasures to found a museum. This walk may shock you. 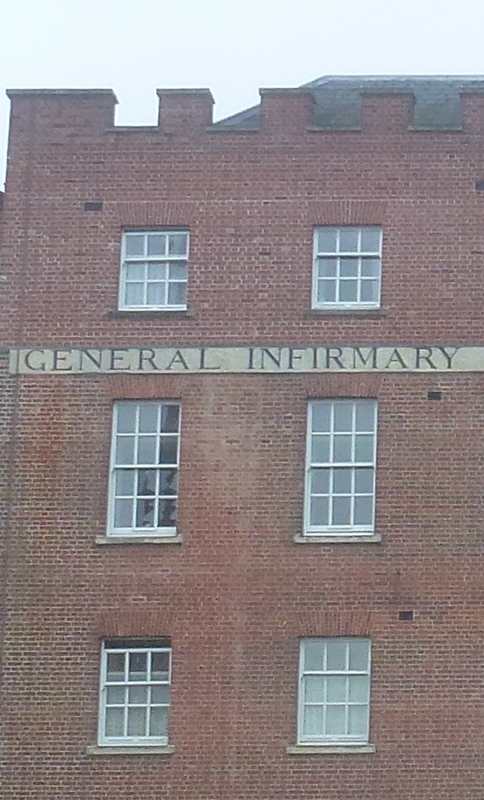 Life in bygone Salisbury could be brutal and short. Your ideas of the good old days may never be the same again ! Britain’s oldest artistic institution , the Royal Academy of Arts , was founded by George III to promote the very best in the fine arts of painting, sculpture and architecture. 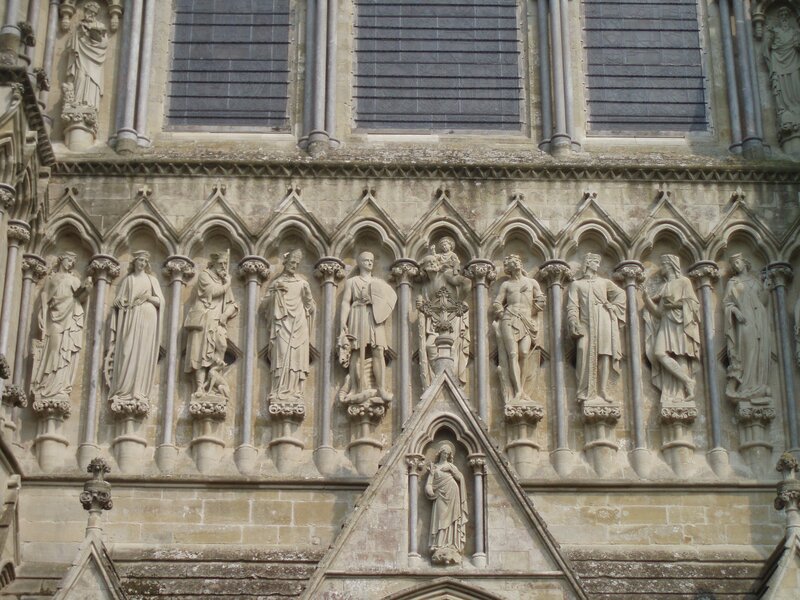 Salisbury Cathedral is remarkably rich in examples of Royal Academicians’ work. The tour examines the work of twenty artists that may be seen in the Cathedral with particular reference to the architect Sir George Gilbert Scott RA 1811-78. If you are interested in the fine arts this tour is a must. 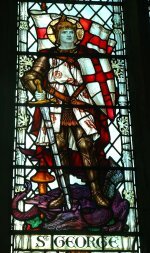 St George, the dragon slayer, has been the patron saint of England since the time of Edward III. The medieval Merchant Guild of Salisbury chose him as their patron saint and the resultant Fraternity of St George effectively ruled the city. Portrayals of dragons are still scattered throughout the modern city. Today Salisbury is also rich in mythical and modern allusions to other extraordinary creatures. This walk examines the role of animal images, both real and fabulous, in the life of the city. 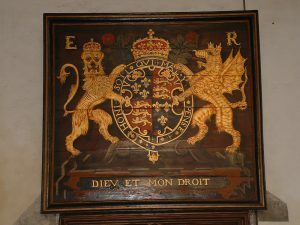 Discover Salisbury’s special historical relationship with St George and the city’s amazing range of dragons, wyverns, griffins, unicorns and other fantastical beasts. 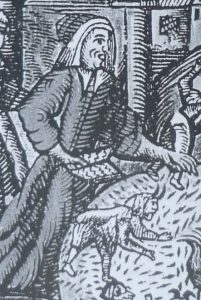 Hear stories of five witches in Salisbury and their executions, two sorcerers and their punishment, a report of toadmen and screaming bones together with tales of Wiltshire folklore associated with cats, dogs, the Devil, death, bad luck and mysterious herbal potions. 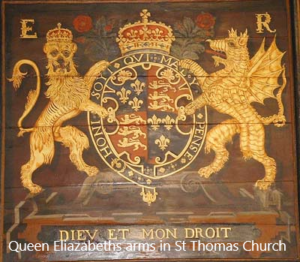 Monarchs have visited Salisbury since earliest times. They came for many reasons: to impose authority, to escape the plague in London or even purely for pleasure. From the 13c to the 21c Salisbury has been proud of its royal charter that is still in force today.This walk is overflowing with tales of the monarchy’s glittering presence and its impact on this unique city. A great Jubilee walk. 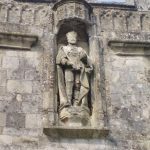 This walk is brimful of fascinating glimpses into the extraordinary lives and deaths of the Saints associated with Salisbury’s ancient Churches, Friaries, Guilds and Inns. All this will be a prelude to our contemplation of the gothic glory of the Cathedral’s West Front to reveal the resplendent results of four years intensive conservation and the expenditure of millions of pounds. What better place to savour the saintly stories of the sculptures set in their surrounds of soaring splendour? This unique treasury of art and architecture never fails to astonish and delight. Salisbury’s creation, in the 13th century, on a green field site has given it a worldwide reputation as a quintessentially medieval city. Dominated by its sublime gothic cathedral the city developed on a unique grid pattern that survives to this day. Salisbury has over 500 buildings listed for their historical and architectural merit in styles that range from the Medieval to Victorian. On this walk the city streets present a living history of English architecture. The tumultuous end of the medieval era. It is over 500 years since Henry VIII ascended the throne and yet he remains one of the most remembered of English monarchs. He only visited Salisbury on three occasions but his reign was to dramatically change the everyday life of its citizens. 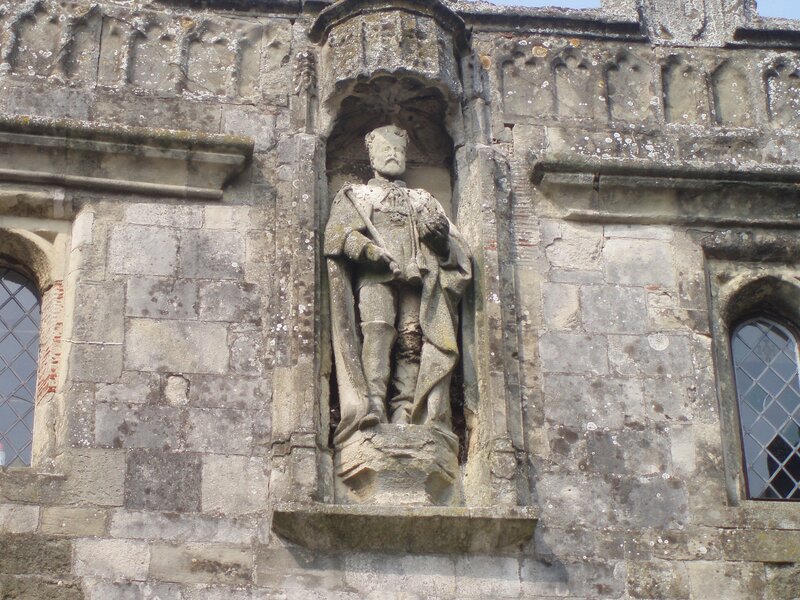 Many buildings of the Tudor era survive in Salisbury to form the backdrop to a tale of power and passion that will be revealed on this tour. Tudor life in Salisbury was gritty, rumbustious and exciting. We are lucky in Salisbury to have so many sources of music and entertainment – not just the Playhouse, City Hall and Arts Centre, wonderful as they are. Most nights there is a concert, play or “gig”, taking place in or near the city. Orchestras, choirs and players offer a rich variety and Salisbury also has a cinema, with an interesting past, showing all the latest films. 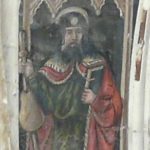 This talk (or walk) takes the listener back to the earliest medieval processions, the outings by the Salisbury Giant, through visits by strolling players, the first theatres and festivals, mentioning visits by Handel and David Garrick. 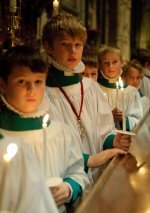 Like a bright thread through all this runs the daily music and liturgy of Salisbury Cathedral, showing the close links between the choirs and organists. A guided walk of the Alderbury area will reward the walker with views of the remains of an ancient priory founded in the mid 12thC and a parish church which was once a Royal Peculiar. Near by stands the house built with stone from the demolished bell tower of Salisbury Cathedral. The stories of a family of local musicians who changed the image of the Salvation Army worldwide and the house built by the well known 19thC Gothic architect, Augustus Pugin, for his own use; make Alderbury of interest to visitors from further afield. 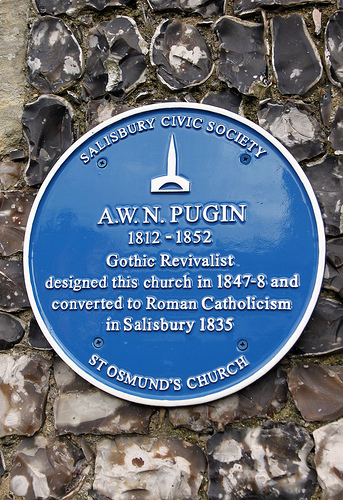 Pugin is best known for his work on the rebuilding of the Palace of Westminster, London. A half day excursion for the adventurous visitor who enjoys walking and a sense of history. Visit the Clarendon Palace ruins dating back to the 12c; experience the landscape of kings, a royal retreat and place of government even before Salisbury Cathedral was built. Stand on the site where Henry II met Thomas Becket in 1164, an event which led to the archbishop’s exile and death just six years later. Enjoy a guided four mile (6.4 km) walk from Laverstock or Milford to this wonderfully isolated spot with friendly llamas patrolling the grounds. The story of Avebury is best revealed in a walk of the surrounding landscape where its various monuments will bring alive the history of why this area was developed by Neolithic peoples. Visit Windmill Hill, probably the oldest of the monuments, take in Silbury Hill, West Kennet Long Barrow and the Sanctuary. Follow the route of England’s oldest road, the Ridgeway, along the hilltops surrounding Avebury to the valley below Fyfield Down where Sarsen stones can be viewed in their natural setting prior to returning to Avebury along the Herepath, an old Saxon roadway. This is an all day walk on Public Footpaths and Byways (OS 157), best taken in the company of a Blue Badge Guide, but is easily split up into bite size chunks to suit your personal needs. Join us in an idyllic Wiltshire village for a gentle stroll passed grand houses, formal parkland (that once held a USAAF camp), an ancient church and delightful cottages. We glimpse the large, classical, Philipps House before a brief visit to the Grade 1 listed gothic church. Our walk continues passed the birthplace of the Earl of Clarendon to smaller farmhouses and cottages that make up the ancient core of the village. Along the way we catch echoes of both World Wars cheek by jowl with a modicum of modern change and development. This 1½ hour leisurely ramble captures the quintessential charm of village life. The idyllic village of a century ago can still be found amidst the modern housing estates and schools that have threatened to overwhelm Laverstock. Discover a rural parish beside the River Bourne just one mile from Salisbury. Learn about the high quality medieval pottery, large estates, and a nationally renowned, progressive lunatic asylum which for nearly 200 years was an accepted part of the community. Visit the Victorian church, and within its grounds the evocative ruins of the ancient church which predates the cathedral. Experience the recently established 1950s style community farm with its traditional herds, a working project, not just a museum. Enjoy the trails across the downs and through the water meadows. This talk on Admiral Lord Nelson’s early life, his marriage and the gift of a grateful nation after his death will be of interest to those who admire this glamorous 18thC figure and those who live near the South Wiltshire property he never owned. With no legitimate heir the Standlynch, later Trafalgar Estate; the title The Earl Nelson and a pension, were granted to Horatio’s brother. The events concerning the estate and the holders of the title until the mid 20thC are unfolded by this talk. Salisbury is a medieval city whose citizens from earliest times have invested in decorative and fine arts to enhance their city and demonstrate their prosperity to the world at large. Homes, businesses and civic buildings display an extraordinarily rich array of decorative and fine art from the distant past to the present. 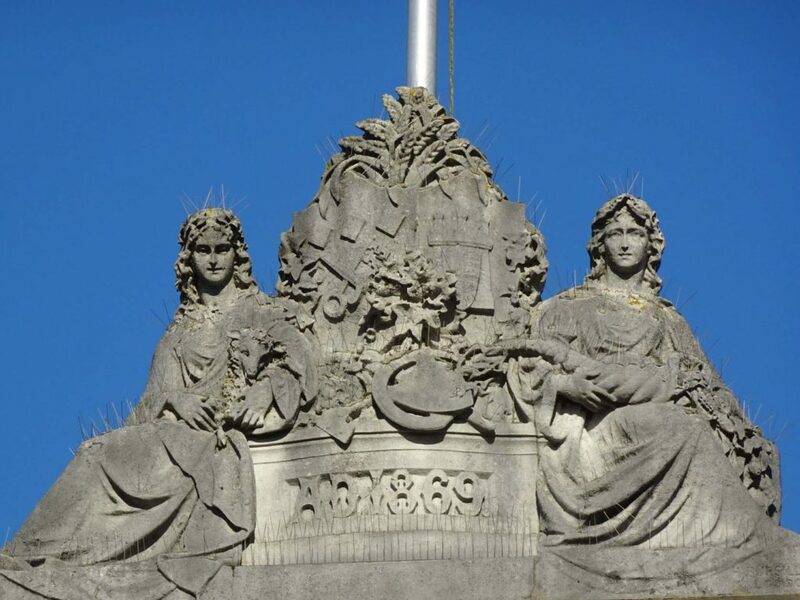 The decorative art still visible includes works of carved wood & stone, plaster work, iron, glass and heraldic images. The fine art includes uniquely beautiful buildings, statues and paintings. 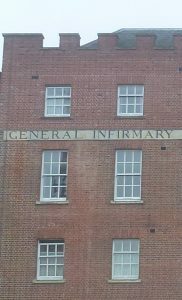 The tour asks questions on the nature and origin of each item and reveals forgotten stories of Salisbury’s ever changing history.